Bardwell Farm is committed to growing a quality product that has a positive impact on the environment. Growing food in healthy soil is just as important to us as educating the public about the importance of eating and shopping locally grown food here in the Pioneer Valley. We are a fifteen acre diversified vegetable farm established on the finest Hadley and Winooski silt loams, growing over one hundred varieties of vegetables from May through October. We distribute our produce through our retail farmstand, CSA farm share, and supply local restaurants, inns, and stores. We believe in sustainability and are always researching, learning, and teaching new agricultural practices and updating techniques in the field. We continue to look for ways to improve our product and be more efficient, while leaving less of a footprint on our environment. ​Our yearly crop plan gives back to the earth through diversification, crop rotation, limited tillage or no till, cover cropping, natural fertilizer amendments and more. We implement these practices by building robust ecosystems and conditioning our soils. In return, this will lead to healthier, happier, and more nutritious crops, from his farm to your table. ​full-time owner and operator of Bardwell Farm. 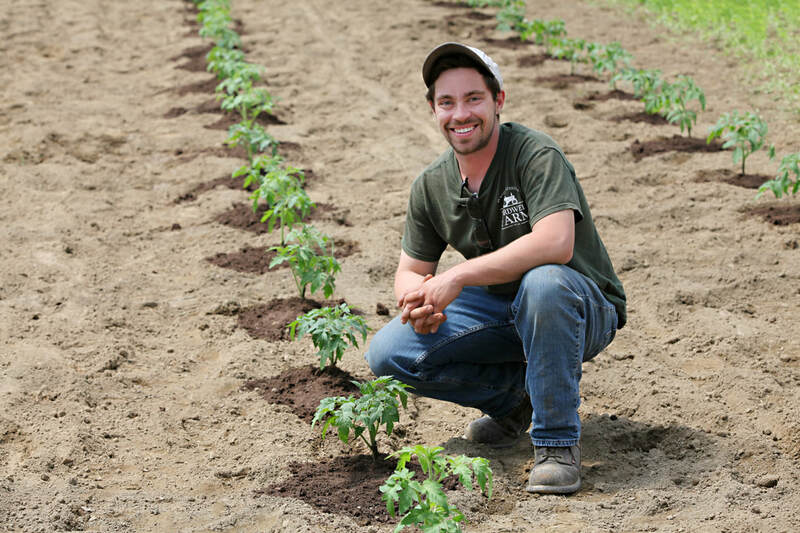 Currently, Harrison is learning to efficiently manage his business, expand performance in sustainable growing practices, and paving the way as a next generation farmer in the Pioneer Valley. He continues his outreach involvement with local schools and institutions to pursue his love of educating people about agriculture. Harrison has not only taken-on the role of growing food for the community but also as a caretaker of the land. He feels it is important to give back to the Earth for what it has given him. He has set realistic goals in sustainability and wants to leave the soil and surrounding environment better than the way he found it.